Do you always keep your promises? It's hard, isn't it? Listen to this lesson to learn that God is the only perfect promise keeper. What He says, He will do. Learn about the covenants God made with Abraham, Isaac, and Jacob. See how some of the provisions in them will not be fulfilled until the future, earthly Millennial Kingdom that lasts 1,000 years. Get a better understanding of the borders of the land promised to the Jews, much of which they have been waiting thousands of years to possess. As a Church Age believer, take time to study and to memorize the many promises you can rely on when trouble comes into your life. What are your predictions for the coming year? Write them down and read them a few years later and laugh. That’s because they’re only guesses. Listen to this lesson to find out actual events that will happen when Christ returns to this earth to reign for a thousand years. See how there will be perfect environment, perfect justice, and world peace. Learn that many of the devastating changes that occurred when Adam fell will be reversed. and people from nations all over the earth will come to Jerusalem to worship God. Understand the role of the Holy Spirit during this time and the purpose of animal sacrifices. Christ's death on the cross put an end to animal sacrifice for all time, didn't it? Listen to this lesson to learn what the book of Ezekiel says about that. Find out about the Millennial temple and how a covenant made with the Levites concerning an eternal priesthood culminates in the Zadok priesthood. Learn the true meaning of atonement and the origin of the word. Understand the necessity for ritual cleansing when God dwells on the earth. How many judgments are there in Scripture? Listen to this lesson to learn the difference between the Judgment Seat of Christ for believers and the Great White Throne Judgment for unbelievers. Understand that the Judgment Seat of Christ is designed for believers to determine rewards and not their eternal destiny. Learn about the four resurrections and the sheep and goat judgment. Come to understand that the issue is the standard of God's righteousness and that man can never measure up to that. God, in His grace, imputes His righteousness to those who believe in His Son, Jesus Christ. The question all of us must ask is if we are ready for God's judgment? If you think the Bible is ambiguous and too hard to understand, it’s probably because you don’t like what it says. 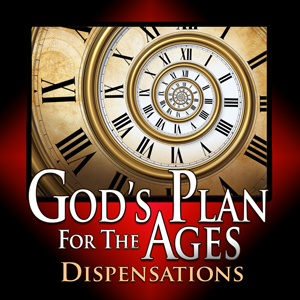 Listen to this closing lesson for this series to be reminded that God has a clear plan for the ages but that Satan constantly tries to confuse the truth about it. See how over the years many attempts have been made to bridge the gap between classic dispensationalism and covenental theology under the guise of progressive dispensationalism. See how using allegorical interpretation of Scripture instead of literal, historical, and grammatical hermeneutics has led to much of the confusion. As Christians, look forward to the Rapture as the the next great Biblical event, and be confident in the assurance of your eternal destiny.